Here's a great big fantasy that you can pull over your head like a comfy old sweater and disappear into for a whole weekend. 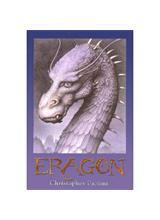 Christopher Paolini began Eragon when he was just 15, and the book shows the influence of Tolkien, of course, but also Terry Brooks, Anne McCaffrey, and perhaps even Wagner in its traditional quest structure and the generally agreed-upon nature of dwarves, elves, dragons, and heroic warfare with magic swords. Eragon, a young farm boy, finds a marvelous blue stone in a mystical mountain place. Before he can trade it for food to get his family through the hard winter, it hatches a beautiful sapphire-blue dragon, a race thought to be extinct. Eragon bonds with the dragon, and when his family is killed by the marauding Ra'zac, he discovers that he is the last of the Dragon Riders, fated to play a decisive part in the coming war between the human but hidden Varden, dwarves, elves, the diabolical Shades and their neanderthal Urgalls, all pitted against and allied with each other and the evil King Galbatorix. Eragon and his dragon Saphira set out to find their role, growing in magic power and understanding of the complex political situation as they endure perilous travels and sudden battles, dire wounds, capture and escape. 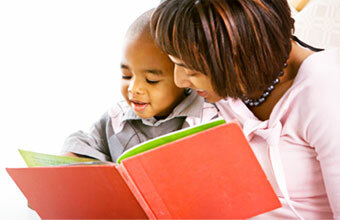 In spite of the engrossing action, this is not a book for the casual fantasy reader. There are 65 names of people, horses, and dragons to be remembered and lots of pseudo-Celtic places, magic words, and phrases in the Ancient Language as well as the speech of the dwarfs and the Urgalls. But the maps and glossaries help, and by the end, readers will be utterly dedicated and eager for the next book, Eldest. While exploring the forest, 15-year-old Eragon discovers an odd blue gemstone—a dragon egg, fated to hatch in his care. According to PW, "The author takes the near-archetypes of fantasy fiction and makes them fresh and enjoyable, chiefly through a crisp narrative and a likable hero."